For a while now I've been talking about this pretty awesome race in my hometown, the Blue Ridge Marathon, also known as America's Toughest Road Marathon. 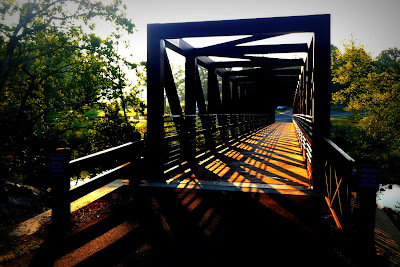 I've done the Blue Ridge Half Marathon the past two years (you can read my previous recaps from 2011 and 2012) and next year I'm hoping to run my first full marathon at this race. I'm sure some of my hype about this race has gone in one ear and out the other, but this is one post that I hope you'll be interested in. Why? 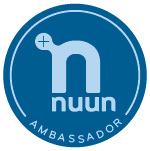 Because I'm giving one of you the chance to join me at next year's race! What: One tough full marathon with 7,234 feet of elevation change, a super challenging half marathon with 2,500 feet of elevation change, a 5-person team relay race, a fun YMCA kids marathon, and an insane unofficial official double marathon. Plus tons of other fun stuff associated with the race weekend, including a pre-race pasta dinner with Bill Rodgers and the exciting Roanoke Twilight Criterium the night of race day. Where: Begins and ends at the Taubman Museum of Art in downtown Roanoke, VA. The race includes a portion of the Blue Ridge Parkway, a trip up Roanoke Mountain and Mill Mountain, a tour of the South Roanoke neighborhood, and a run on the Roanoke River Greenway. 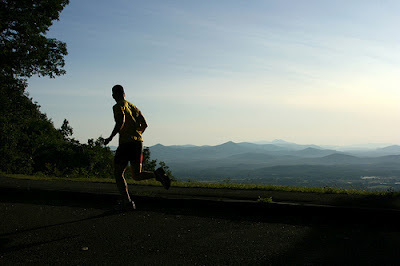 So what makes the Blue Ridge Marathon so tough? Two words: elevation change. Up and down and up and down and up and down. While the up is what seems to scare people, the quad-busting down is what will truly wear you out. After descending two miles with the same 12%-17% grade, you'll make your way to the second climb on Mill Mountain, where you'll run right in front of the Mill Mountain Star, the world's largest freestanding illuminated man-made star (yes, you should be jealous that your town doesn't have one). At the top you'll get to enjoy a great view of the Roanoke Valley (check out the live view from the Starcam!). Surprisingly enough, some people manage to totally miss the Star as they run right past it. After you run past the Star, you'll have to endure another steep descent down the twisty "old road" on Mill Mountain. This is where I learned an important lesson last year: respect the downhill! After this, you'll make your way to the beautiful neighborhood of South Roanoke and start your third climb at mile 17. Peakwood just seems to go up and up and up. And once you think you're at the top and you've started your decent, you go right back up again. Your major climbing will end after mile 19, but your legs will have to get you down mountain #3 before you're on "flat" ground again. 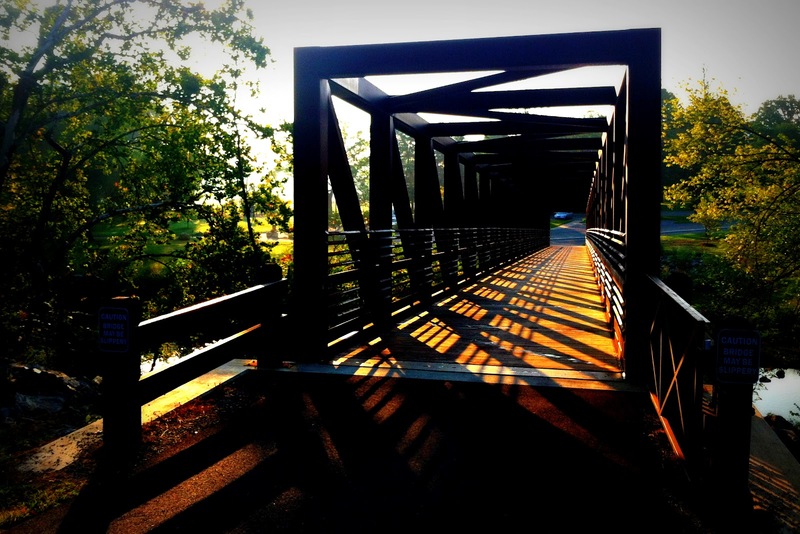 Upon leaving South Roanoke, the course takes a turn onto the tranquil and flat Roanoke River Greenway before heading back downtown to the finish. If you don't think all of this climbing is for you, the Blue Ridge Half Marathon is also a spectacular race, and I have loved doing it for the past two years. It's still very challenging yet also very doable, and walkers are permitted and encouraged. The half marathon course has 2,528 feet of elevation change, with 1,267 feet of elevation gain, most of which takes place in the first half of the course. Runners of the half marathon and full marathon begin the first climb together. When the full marathoners split off to run up Roanoke Mountain, the half marathoners continue up Mill Mountain to the Star. After descending on the "old road", half marathoners take a brief tour of South Roanoke and bypass the Peakwood climb. Half marathoners also take the Roanoke River Greenway from South Roanoke back downtown for the finish. There is also a Full Marathon Team Relay option for those wanting to run a portion of the full marathon as part of a 5-person team. And for the kids, there is the YMCA Kids Marathon, where K-5 kids can run 25.2 miles with their family and friends prior to race day, and run their 26th mile on race day and cross the same finish line as everybody else. And if you're looking for a really crazy challenge, there is also the Official Unofficial Double Marathon. In 2011, three people ran the course "unofficially" starting at 2:30 am, and turned right back around to run it again with everybody else. In 2012, ten people participated in the official unofficial double. So if you're looking for a scenic and challenging course, this race is for you! Finishing the full or the half is an accomplishment, and one you'll be proud of for quite a while. If you're afraid of the elevation change, don't be. Not only is there no shame in walking on this course, but you have 7 months to train for this bad boy! Plus there is an 8 hour cut-off time, meaning you must maintain an 18:32 pace for the full marathon and a 37:04 pace for the half - totally doable even considering all of the elevation. Leave a comment telling me why you want to run in America's Toughest Road Marathon. Share a link to this giveaway on your blog, Facebook, or Twitter (sample tweet: "I want to win an entry to run in the Blue Ridge Marathon from @sweatylauren goo.gl/rUWxw #runBlueRidge"). Just leave me a comment letting me know you shared it. Each "share" will count as one entry. 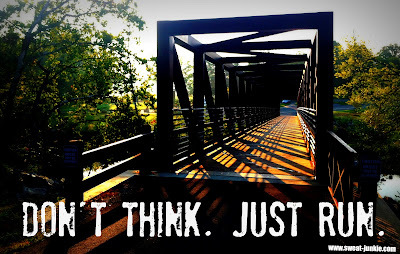 Be a follower of Sweat Junkie - click the "Join this site" button on the right under "follow me" and leave a comment letting me know you're a follower. Follow @BRM26pt2 on Twitter and/or like Blue Ridge Marathon on Facebook. Leave a comment letting me know you did this. You can include all of your entries in one comment, multiple comments, whatever you want! I will list all entries in a spreadsheet in the order in which they are received and select a winner using random.org. Entries will be accepted until midnight EST on Sunday, September 30, 2012. A winner will be selected and announced on Monday, October 1, 2012. I was provided a free Blue Ridge Marathon race entry and one free entry to give away. The winner of the race entry is responsible for travel and lodging expenses. 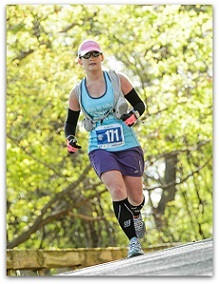 Remember how I mentioned that I'm an Official Blogger for the Blue Ridge Marathon? And remember how I mentioned that I'd be giving you a chance to come run it with me? Well here's your official announcement that this giveaway will be going on the last week of September (9/23-9/29), so be sure to come back here and enter if you'd like to win an entry. The race is April 20, 2013, in beautiful Roanoke, VA, so you still have a whole 7 months to get ready for it! I don't want to hear any excuses! You know you want to do it! second I had a great 11 mile run this past weekend which included a trip up Mill Mountain (which you'll get to run up and down at the Blue Ridge Marathon and Half Marathon). It was a beautiful morning and cool outside. Perfect running weather! Are you going to try to run BRM with me? Do you include cutback weeks when you aren't following a training plan? 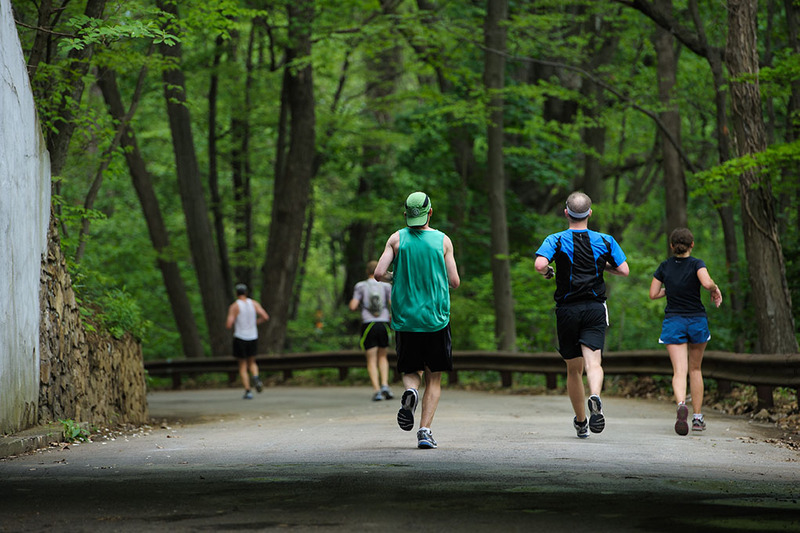 What do you love most about running?